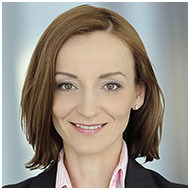 Katarzyna is Managing Partner of Advicero, certified tax advisor since 2003. 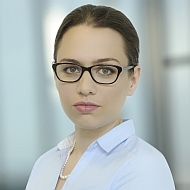 Katarzyna provides tax advice in Polish, English and German language. Tax advisor. A specialist in income tax and value added tax. "-" interpreted as the liability towards the bank. "+" as decrease of funds on the bank account. OTHER SECTIONS IN THE STRUCTURE ARE PLANNED. REFERS ONLY TO SALE INVOICES. avoiding imposing of the penalty based on the Polish Fiscal Penal Code on the persons responsible for the tax settlements of the company due to the potential claims of the tax authorities that the tax offence has been committed. How to prepare for the SAF-T implementation? less than 10 employees, 10-49 employees, 50-249 employees, more than 249 employees. no more than EUR 2m (PLN 8.523m), EUR 2m – 10m (PLN 8.523m – 42.615m), EUR 10m – 50m (PLN 42.615m – 213.075m), at least EUR 50m (PLN 213.075m). no more than EUR 2m (PLN 8.523m), EUR 2m – 10m (PLN 8.523m – 42.615m), EUR 10m - 43m (PLN 42.615m – 183.245m), at least EUR 43m (PLN 183.245m). From 1 January 2018 you are obliged to submit sale and purchase VAT register in the form of SAF-T every month. The obligation of submitting of the tax register of incomes and outcomes/incomes register/accounting books in the form of SAF-T on request of the tax authorities arises on 1 January 2018. From 1 January 2017 you are obliged to submit sale and purchase VAT register in the form of SAF-T every month. The obligation of submitting of the accounting books in the form of SAF-T on request of the tax authorities arises on 1 July 2018. From 1 July 2016 you are obliged to submit sale and purchase VAT register in the form of SAF-T every month and accounting books in the form of SAF-T on request of the tax authorities.